Beautifully restored Georgian double storey guesthouse in the heart of Robertson. This gracious Georgian manor house has been restored as close as possible to its original beauty. With 8 beautiful en-suite bedrooms, guest lounge, reception, kitchen and large dining room with fireplace which opens out onto a covered veranda and pool area, the property offer luxurious and comfortable four star graded accommodation and facilities in the heart of the Breede Valley Winelands. 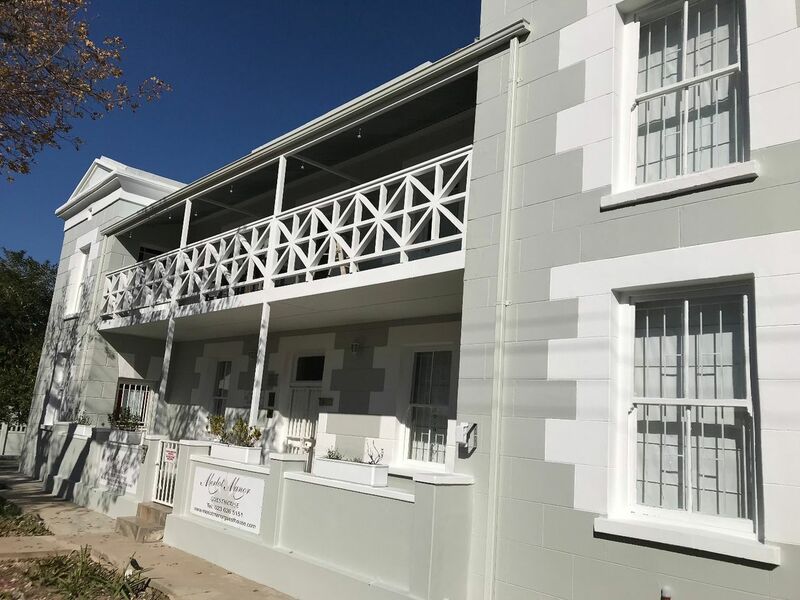 The guesthouse is close to a main tourist route which leads you through the winelands and onto the Route62 to Oudtshoorn and the Eastern Cape. A popular route for foreign travelers and South Africans alike. This Going Concern Business comes ready to run with established books to view for the serious buyer.